Our service-oriented, consultative approach to all our web design, development and marketing clients focuses on building long term client relationships. 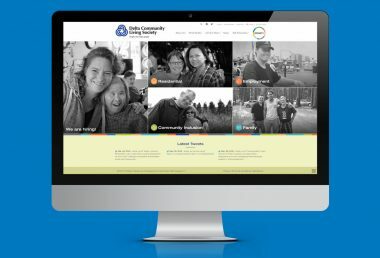 Backed by a solid reputation in the web design world built on trust and expertise, we bring clarity to website design and online marketing. By taking the time to understand your business logic, we help you identify and develop customized web strategies and solutions. Our team of experienced web developers, graphic designers, website marketing strategists and consultants, know the most effective ways to connect with your audience. Long term, we are here to partner with you through the growth of the online identity of your business. NetClimber Web Design strives to create websites that will meet your needs and expectations. 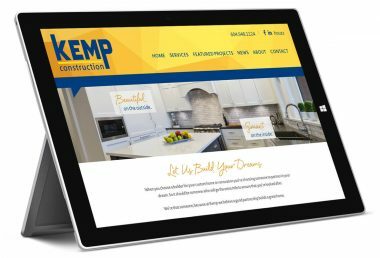 From web design and development to web marketing and SEO (Search Engine Optimization), we are here to help create and/or maintain a website that fits your brand and business needs. 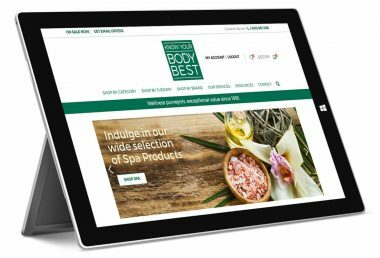 While aesthetics vary from person to person, we aim to design websites that follow a clients’ business logic yet are visually attractive for users. Work with our talented graphic designers, or we’ll work with yours to deliver the best results and exceed your web design needs. Trust our in-depth knowledge of today’s best technology in the website development industry. Our planning and coding are focused on delivering quality performance, functionality, exceptional customer usability and overall user experience. Our web marketing campaigns integrate the latest strategies to increase your online visibility. As a Google Partner we work to promote all types of business, ensure branding is consistent, and help to build a positive online reputation. Search engine optimization (SEO) is an essential part of an online business strategy. Our team will work with you to implement effective ways to increase web traffic, improve your Google and search positioning and to drive more profits. We offer website maintenance and support for existing and new clients. Our team of specialists are available to assist with web related issues outside the scope of a clients’ expertise. 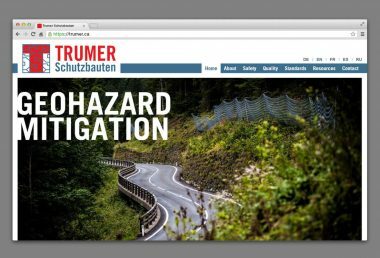 If you want changes or enhancements to your website, contact NetClimber Web Design. We are confident we will be able to assist you. NetClimber Web Design offers additional services such as web hosting, domain registration, website training, copywriting, and data/content entry. Contact us to discuss any website services you may require. 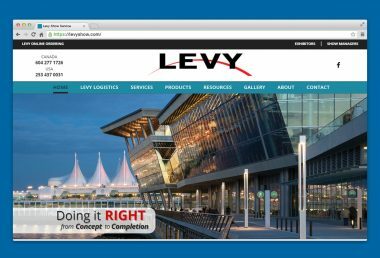 Built on a foundation of integrity, trust and reliability, we are a full-service web design, development and marketing team of individuals with strong technical and design skills combined with years of industry experience. We are a driven team with a proven track record for helping businesses develop an online presence. We are passionate about our work and strive for excellence, holding a high-standard for our end goal of delivering an enjoyable user experience and overall customer satisfaction. We believe that our goal is to add value to our clients’ business through objective driven web strategies. We provide expertise and guidance along with original designs, custom development, business specific web marketing strategies, and experienced internet related consulting. We serve all sizes and types of business, both locally and globally. Our goal is to improve your online presence and we take pride in every solution we create. 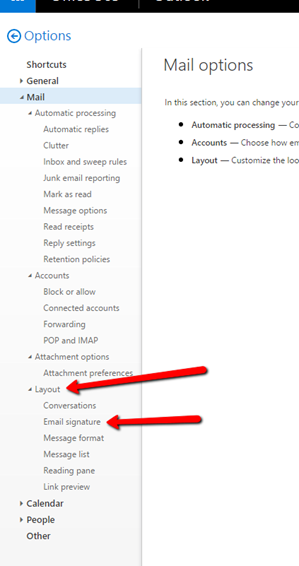 How can I add a signature to my email messages in Microsoft Outlook Web App? 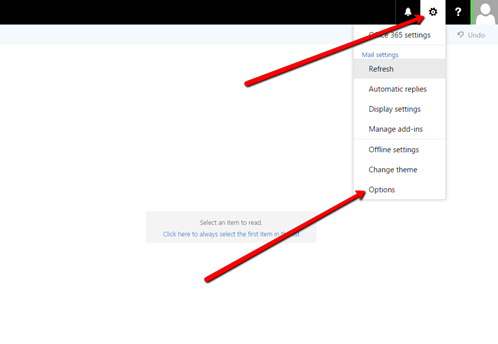 On the navigation bar, choose Outlook (or Mail). Under Options, choose MAIL > Layout > Email signature. Under Email signature, in the text box, add your image and signature. You can use the editor to stylize and format your text, and have the capabilities to change the font face, color, size, background, insert hyperlinks, bullets, numbered lists, etc. If you want your signature to display at the bottom of all outgoing items, including replies and forwards, select Automatically include my signature on messages I send. 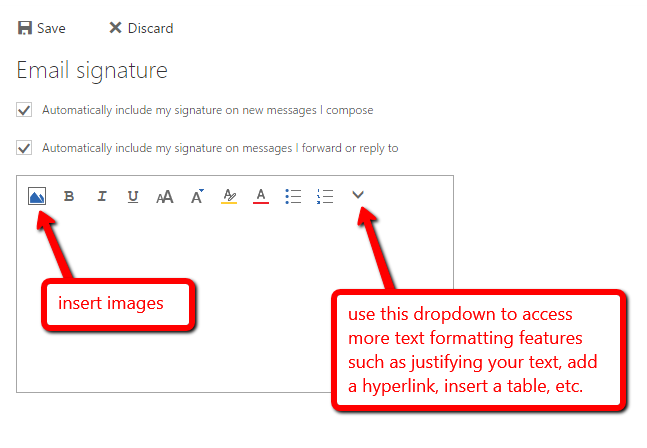 If you don’t select this option, you manually can add your signature to any message. Once you’ve saved, send a test email to yourself to confirm this process has worked. If you need assistance in building a professional email signature for your brand, please give us a call so we can help. Why isn’t Mac Mail saving sent messages? Research shows that this is a common problem with the Mac Mail. The following two links provide a lot of good info for setting up Mac Mail and you could also go to your Apple Store for technical assistance. The fourth question on this link listed discusses mail not being saved. I’d like to have my WordPress website scanned for Malware. Is this an option? Within the NetClimber High Performance Security, Monitoring and Sync Package, we can implement daily malware scanning for your WordPress site. Sucuri SiteCheck uses a 10-point site check to scan your site for known malware, blacklist status, website errors and out-of-date software and generate a notification if anything is found. What is Google reCAPTCHA and why use it? Google reCAPTCHA is an extra layer of protection which can be added to the most vulnerable pages on your website, such as the admin login page, user registration pages, and other web forms. In today’s world, every small business owner should have you on their team.